1 . htc desire 816. The battery indicator is behaving wrong compared with the real charging time!! I don't know if it's a software issue nor the battery..please advice how to avoid this. This is my first phone after years of experience with Sony, and i must say, this phone is one bad boy. Sound is way better than Sony. Its even slightly better than the so called iphone6p. If you dont beleive me read the sound test results carefully. So in short, BEST SOUND IN MARKET TODAY. If you listen to music with headphones aq lot..dont think just go for it. And for those with apps move to SD issues, I didnt have one. I an transfer apps on it smoothly. May be you need upgrade the software. Mine software no. is 1.58.720.1. AWESOME huge phone with such a QUICK RESPONSE. Loved the Camera and its video quality. Sound's also GREAT. 10 out of 10. Evem thoughi charge the phone 100% after using wifi and internetthe charge decreaes vry fast.after few hrs it will be lik 50%...guys please help me on this..? ?any soution?? Whenever i restart my phone, it display battery level 70% even it was just 10% before re-starts.i dont know if it is bug. does it support native video calling? 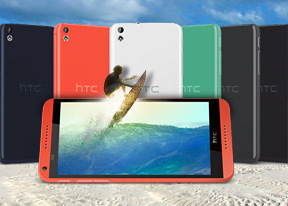 Is this HTC desire 816 mobile is upgradeable? Battery got draining too quick. please send some updates toprevent it.also it 4hrs to charge.